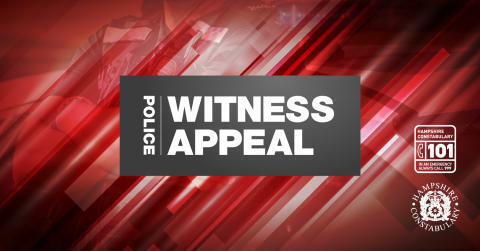 The incident happened at around 1pm on 31 August in the Charlton area. The victim, aged in her 60s, was threatened by a man with a crow bar who then sexually assaulted her before taking her purse and her phone. Detective Inspector Lee McClellan, leading the investigation, said: “This was a very distressing incident for the victim, and we are urgently appealing to anyone who can assist our enquiries. “The man responsible was very distinctive – dressed all in black, wearing sunglasses, a balaclava and carrying a crow bar. Did you see this man, or anyone acting suspiciously at all in the local area around this time? Chief Inspector Mark Lynch said: “We understand that reports of this nature can be very alarming and concerning to the public, particularly those living nearby, but please be reassured that we are taking this very seriously and detectives are working hard to investigate this incident. “Officers will remain in the area over the coming days conducting house to house enquiries and regular patrols, both on foot and in police vehicles. If you have any information, please contact us on 101, quoting 44180329695, or call the charity Crimestoppers anonymously on 0800 555 111.